Baby and child haircare starts in the tub and it’s so important to use products that don’t irritate our kids’ eyes, but also keep our child’s hair well-nourished and beautiful. 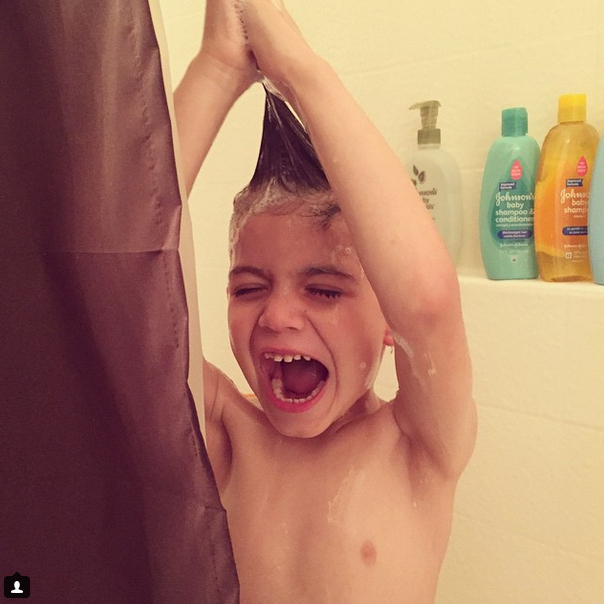 JOHNSON'S® knows there is nothing more important than our kids and those crazy bath time moments make our days so worth while. Check out what our #LatinaBloggers were doing last week during our JOHNSON'S® Crazy Bubble Hair Instagram Challenge. "La hora del baño es super divertida para mi pollo! 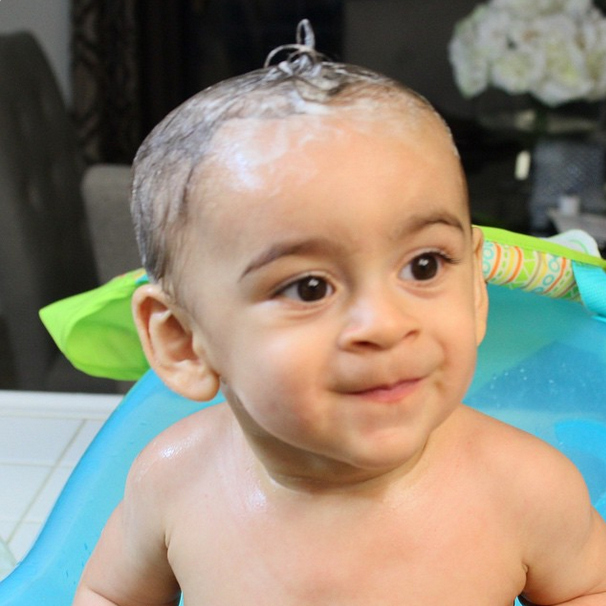 Le encanta enjuagarse el pelo después de lavárselo con @JohnsonsBaby !" "How cute is my little bubble rockstar?! " "This guy loves bath time.. Even more because of the bubbles and crazy hair styles we practice with his awesome hair." "Bath time is a family affair around here!" "El momento del favorito del día para Adrián, la hora del baño." For more crazy bubble hair moments follow #JohnsonsBubbleHair. There will always be a part of you that simply doesn’t translate. Target knows this well, which is why they just launched a first-of-its-kind campaign featuring words with no English equivalent. #SinTraduccion is designed to celebrate moments, traditions and emotions that are treasured by Latino families by taking the conversation to social media.Target just “gets it,” don’t they? Latina Bloggers Connect and Target want to know your meaning of #SinTraduccion. Together, let’s take over social media by sharing untranslatable moments that hold special meaning to us. Enter as often as you’d like with an original picture throughout the week of the challenge. Deadline to enter is March 13, 2015 at 9pm PST. Five (5) winners be selected at random from all eligible entries to receive a $100 Target gift card each. You must be a member of Latina Bloggers Connect. You can join HERE. Winner will be notified via email and Instagram tag and will have 72 hours to respond. If there is no response we will select another winner at random. Siempre habrá una parte de ti que no se puede traducir. Target comprende esto bien, y es por eso que recientemente lanzaron una campaña pionera que gira alrededor de palabras que no tienen equivalente en inglés. #SinTraduccion fue desarrollada para llevar a las redes sociales esos momentos, tradiciones y emociones que las familias Latinas atesoramos y celebramos. Target lo entiende. Latina Bloggers Connect y Target quieren saber el significado de #SinTraduccion para ti. Juntos, llenemos las redes sociales de esos momentos que no tienen traducción, pero sí un significado especial para nosotros. Puedes participar las veces que quieras con una foto original durante la semana del reto. La fecha límite para participar es el 13 de marzo de 2015, a las 9pm PT. Cinco (5) ganadores serán seleccionados al azar entre los participantes elegibles y recibirán una tarjeta de regalo de Target con un valor de $100 cada uno. Debes ser miembro de Latina Bloggers Connect. Te puedes inscribir AQUI. El ganador será notificado via email e Instagram y tendrá 72 horas para responder. Si no hay respuesta, otro ganador será elegido al azar. Todas las decisiones son finales. No es válido donde prohibido. The Holiday Season is here! And with it come celebrations and get-togethers with family and friends. Part of Holiday fun is dressing up and styling your little one’s hair. It’s also important to keep her hair nourished and looking its best during the cold months and JOHNSON’S® NO MORE TANGLES® products help you do just that. We want to celebrate with you and see how you celebrate! Show us your little girl’s best #NoMoreTangles Holiday Hairstyle and enter to win great prizes. Participating in the contest is as easy as one, two, three! You can enter a new photo daily until 11:59pm PST on Sunday, December 14, 2014 for multiple chances to win! CLICK HERE TO ENTER! Prizes: Two winners will each receive a $50 gift card plus the #NoMoreTangles product line. One winner will receive a $200 gift card plus the #NoMoreTangles product line.